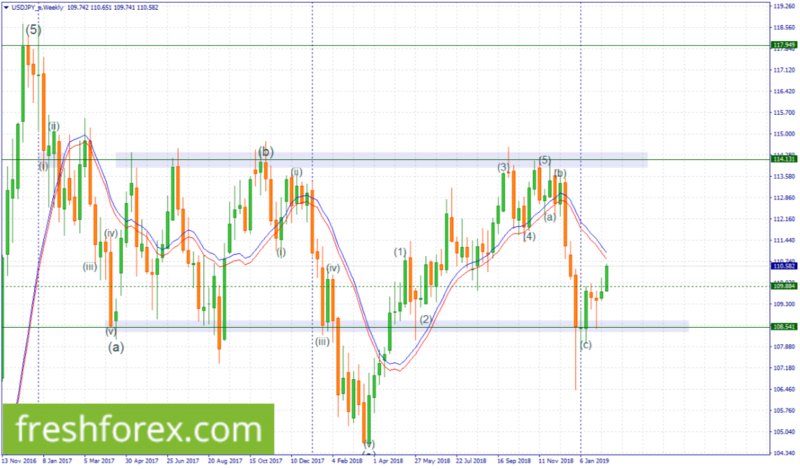 Elliott waves analysis – Remain long topwards 114.131. The US Dollar is currently trading with an increasing bullish bias momentum. We took a buy position from the weekly support level 108.541 and is still holding. Our expectations is that the price should continue to surge even higher towards the next weekly level 114.131. This upward rally is highly anticipated since the previous month candle was a bullish pin bar and could push price higher towards 114.131, and in case the price break above this level, then a move even higher towards 117.549 is expected. Elliott waves analysis – Place a pending sell limit order within the zone 1.1594-1.1465 with your take profit at 1.0461.